FIFTH WEEK OF JUNE and FIRST WEEK OF JULY EDITION for Fifth Week after Pentecost (sangui15.htm) featured on The DailyCatholic, a Traditional Catholic publication dedicated to perpetuating the One True Faith and preserving the Traditional Latin Mass in this time of the Great Apostasy by upholding the sedevacantist syllogism in order to Save All Necessary Catholic Traditions in the United States (SANCTUS) and preserve the Truths and Traditions of the Church founded by Jesus Christ upon the Rock of Peter. 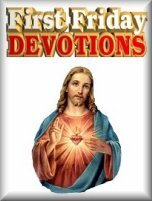 This week we celebrate over a four-day span two Double of the First Class Feasts that are the essence of Catholicism with two Doubles of the Second Class Feasts as well. We begin the week Monday with the the Feast of the holy Apostles Sts. Peter and Paul, the former the first Pope personally appointed by Jesus Christ Himself (cf. St. Matthew 16: 18-19) and the latter the man Our Lord struck from a horse and blinded so that he would become the great evangelizer and "Apostle of the Gentiles." 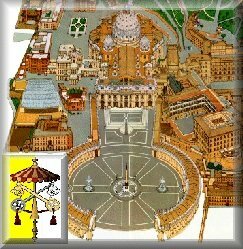 So much so, that St. Paul is given a Double Major feast on Tuesday to close out June, followed by two more great feasts. 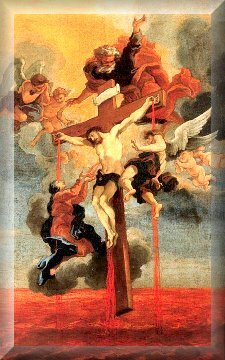 The Solemnity of the First Class Feast of the Most Precious Blood of Jesus is the last First Class Feast during this time after Pentecost until the Solemnity of the Assumption in six weeks during the month of August, which is dedicated to the Immaculat Heart of Mary. Holy Mother Church, in Her wisdom, shows the link through the Precious Blood that beat within the Sacred Heart in the womb of the Immaculate Heart. 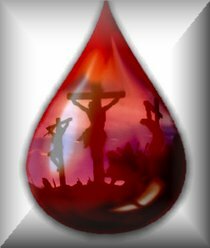 It is the same Precious Blood she would blot and clean when He might have hit His thumb with a nail or a wood sliver during His learning curve in becoming a carpenter under His loving foster-father St. Joseph. 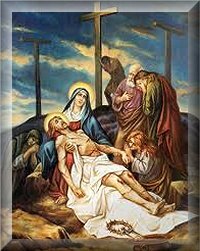 It is the same Precious Blood of tears that the Son of God shed at Gethsemane; the same Precious Blood Our Lady wiped from the stone floor of the scourging area; the same Precious Blood she wiped from His disfigured face on the way to Calvary; the same Precious Blood that dripped down upon her as she stood beneath the cross; and the same Precious Blood she washed away from her dead divine Son before He was laid in the sepulchre. 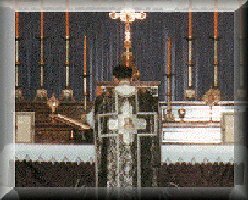 The wine used at the Holy Sacrifice of the Mass (the true Traditional Latin Mass) when confected by the alter Christus becomes the same Precious Blood when the words are pronounced exactly as you see to the right as the Council of Trent and Pope St. Pius V set in stone for all time. 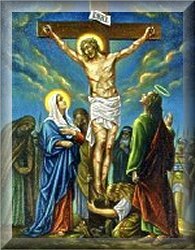 One practice you can do each day is to bless your loved ones and ask the Blessed Mother to take their souls and all their cares and worries and place them on the altar to be washed in His Most Precious Blood at Holy Mass at each True Holy Sacrifice of the Mass Locations by true priests. 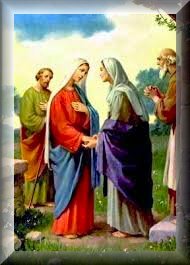 On Thursday, we conclude the First Class Feasts by honoring Our Lady with the joyful celebration of the Visitation of Mary to her cousin Elizabeth where St. John the Baptist, whose First Class Feast of his Nativity we celebrated last week, lept in Elizabeth's womb at the presence of the Messiah Whom Mary, the living Tabernacle, was carrying. We close the week with First Friday Devotions in celebrating the feast of the holy Sovereign Pontiff Pope St. Leo II with the votive Mass of the Blessed Virgin Mary on the First Saturday of July with the accompanying devotions as well as tying in with the Visitation for the Second Week of the Fifteen Saturdays Rosary Crusade, something sorely needed as things in the world and the false church go from bad to worse, especially with those in charge today who are modern day antichrists or at least precursors to the if there ever were such. 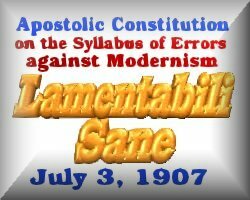 As we have been pointing out for several editions, we can't fathom what has happened to our beloved Church, now in eclipse for the past half a century, but we also know how it will end and we can see the end in sight for the inerrant scriptures tell us this false church is the "church of Babylon" in St. John's Book of the Apocalypse in chapters 17 and 18, not to mention St. Paul's words in 2 Thessalonians 2: 3-11 where God would allow man to "believe a lie" which is what He is doing in testing man's faith. So far the vast majority have flunked miserably and they weren't even using Common Core! Those who have buried their heads in the sand and ignore what is going on in Christ's holy Church, well they have Apocalypse 3: 15-16 to warn them if they continue to remain lukewarm. 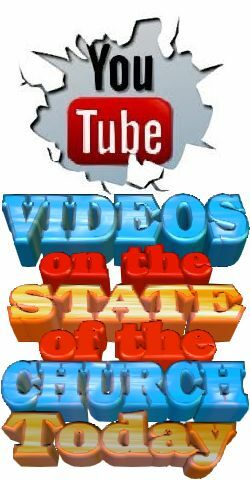 A few reliable sources who are definitely not lukewarm are the following sites we highly recommend to keep abreast of events as fast as they are spinning out of control along with the causes and consequences. This is especially important right now in the aftermath of the horrific secular 'encyclical' on global warming. What so many forget is what is happening today is NOT global warming, but rather a global WARNING from God. 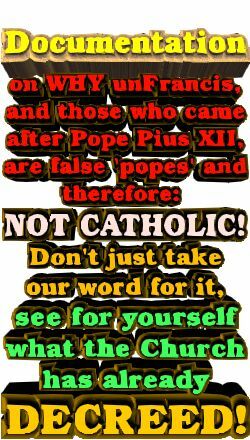 Thus we confidently point you to NovusOrdoWatch.org and Christorchaos.com for articles and links, as well as these blogs worth your while, Introibo Ad Altare Dei, Fr. Anthony Cekada's Quidlibet, Bishop Donald Sanborn's In Veritate, and the satirical, but on-point Call Me Jorge. 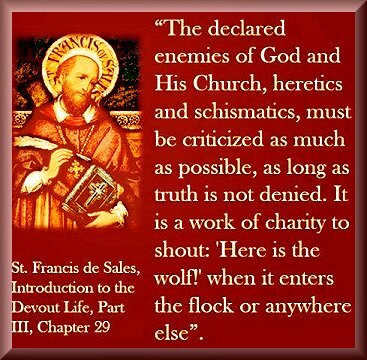 We also point you to Traditio which, although the Father Moderators will not admit the term "sedevacantism", 95% of what they provide reinforces this position. Note, we provide here those sites that carry almost daily coverage and in no way demean other sites that update more infreqently. 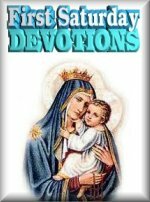 For those sites, please see Traditional Catholic Resource Port. 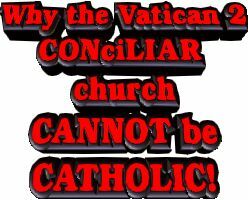 As much as I hate to ask, there is no other choice. . As you know, this long-running publication has always used that analogy for this publication in inviting all to "set sail with DailyCatholic.org" We can confidently say, without a shadow of a doubt for all the years we've been publishing on-line, that we've never steered one soul wrong in all we've published. 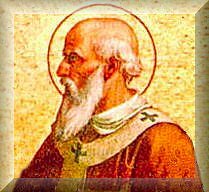 For our content has been in 100% accord with the infallible, perennial Magisterium of the Church firmly aboard the true Barque of Peter. Speaking of vessels, over the last year we've been taking on water even in a drought year, no less, due to a bilge of bills. To stay afloat we need to turn to you our readers. It has been over a year since this editor made a plea for funds. Prior to that my beloved late bride Cyndi would write a heartfelt plea and benefactors would respond generously. With her gone, I'm not too good at asking for money, but purveyors need to be paid so necessity is the mother of invention and I have to ask. Speaking of mothers and Cyndi, it was Henry Ward Beecher who said "The most important thing a father can do for his children is to love their mother." I can confidently say before God I loved their mother dearly and dearly hope that what we imparted as parents will sustain them in this chaotic world where the secular demons of the world, the flesh and the devil have eclipsed Christ's holy Church, chasing the faithful remnant into the catacombs of sedevacantist churches and chapels. That is where we are today, isolated, if you will, from the vast majority because of our belief in the true Faith. But belief alone, as strong as it is, isn't, unfortunantely, strong enough to move mountains or meet expenditures that continue to increase as the economy teeters. 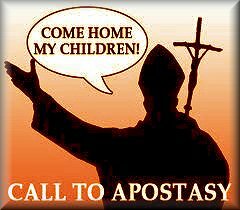 Therefore, I need to raise $5,000.00 for this apostolate to continue as it has been. I set that amount for we have always budgeted $25,000. a year in donations and to date since January the total is $7,000. and we're almost half-way through the year. Hopefully you can more readily see the deficit and why the DailyCatholic's plight is nearing a crisis point. I would hope and pray you will see in your heart the compassion to help and we remind you with the graphic below, repeated each day. We remind you we are a bonafide 501c3 non-profit so any and all contributions are tax-deductible. I also remind you that this editor does not take one penny in salary. It remains a labor of love. Now I just ask for a little love from our readers by clicking the graphic below to take you to our Donation page. Thank you in advance. Dear God, bring the Faith to our beloved country. It was once a virgin land wherein the only praise was that of the murmur of the Mass on the shores, the hills and the prairies. Zealous priests and explorers claimed it for Thee, giving Thy Holy Name to its rivers, lakes and cities. From east to west they traveled, from mission to mission, from Mass to Mass until the land was encircled by prayer and gave of its bounty to Thy glory. 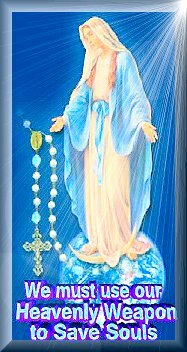 And now it is dedicated to Thy Immaculate Mother. 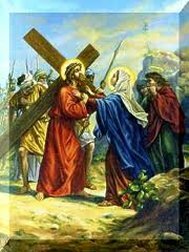 May she find America again, as she once found the lost Child Jesus in the Temple. 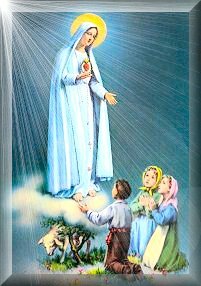 May she touch the hearts of our people, disposing them to receive the ancient faith, and thus showing them the things that are to their peace. We ask this of Thee through Jesus Christ our Lord. Amen.